Somewhere in Oregon, I came upon this most unusual tree. 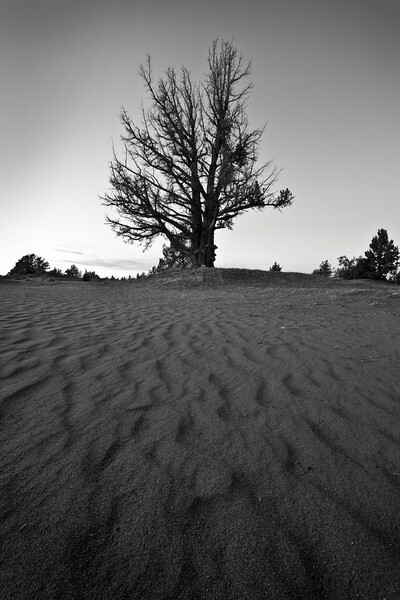 How did this tree grow to be so large amidst a sea of sand? It truly defies logic. To learn more about this image, click here.